his Scott Summers with a gun is the best. He's not shooting anyone, he's just making a point. 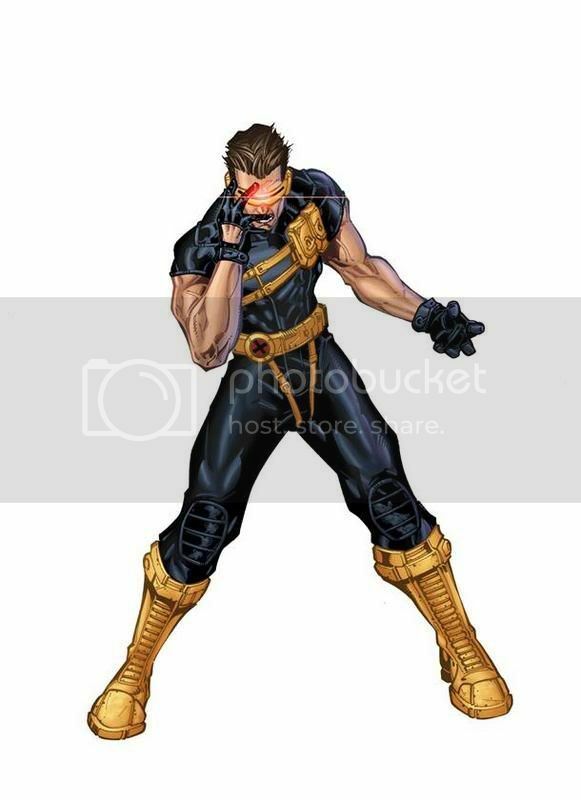 Is Jim Lee Cyclops the one with the hair cowl? Also, yellow pouches for ruby quartz mints. I wouldnt want them to bring it back exactly as it was. Ultimate Cyclops is like a better version of that outfit. Except for his crotch being framed. Never notice that before. He's a lot like Dazzler in that respect. I've never read Excalibur, but from covers I thought her Excalibur outfit was pretty good. I don't think we really needed another shapely blonde female mutant with long hair. short hair is bad, mkay? mkayyyy. her hair looks like crap in that picture. if it were long the pink MIGHT be excusable, but short and pink? hell naw. Actually that's probably my favorite Dazzler now. She looks less generic without becoming Ultimate Dazzler. God, what is with comic artists putting superheroines in belly shirts? Yes, we get it, that is where they grow babies. Can we move on now? edit: I have a soft spot for 80's Dazzler as well. I mostly blame the X-Men arcade game. Man, forget pouches. It's time to admit that heroes like Dazzler and Luke Cage were right all along -- without wide, open collars on your costume, you have nothing. Is there anything more fabulous than 70's disco Nightwing? I think not.  Okay, J Kyle, but what does his costume lack? He's not popping his collar to the sky like 70s Nightwing. What else does he lack? All the throngs of women who want to sleep with Nightwing. Ah, but he is pimping the mandarin collar, he can fly, and he's multicultural. Check and Mate, I think. Also, he has a giant yellow arrow pointing at his crotch. "You can jack my heart any time ladies." I guess there's only one way to figure this out -- an old fashioned pimp-off between 'em. Gentlemen, start your love engines. The love jet is cruising in to the runway, ladies. Actually, the yellow arrow combined with the black diamond lends itself to impression that he's missing something. Red heart tatoo on his face, yellow arrow pointing to his shaft - the guy has it all. that's the hole in his costume where women are encouraged to put their face. we do have a costume thread doggies. i don't even remember what comics came out two weeks ago!